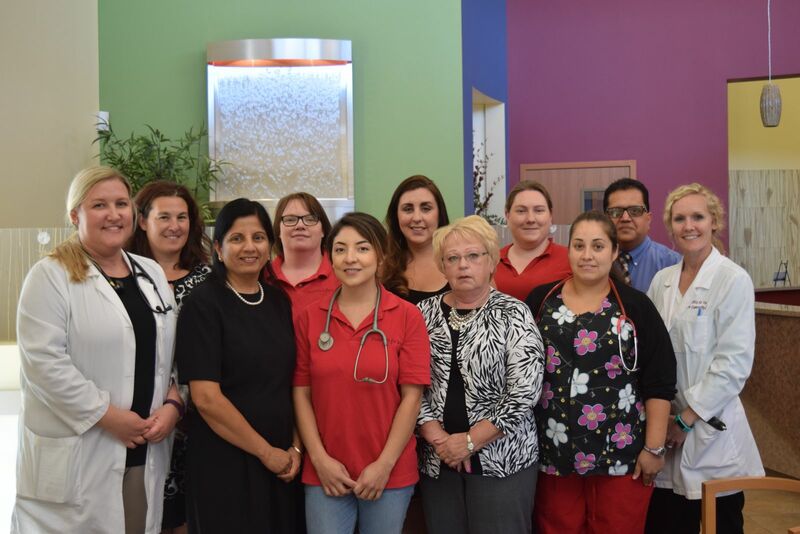 At Pediatrics for You, our team consists of well-trained, experienced and caring healthcare professionals and our family-friendly staff, who really enjoy working with kids and interacting with their families. We are continually pursuing continuous medical education to provide most current and appropriate care to our patients and their families. We enjoy what we do and are continually striving to meet your healthcare needs in a loving and respectful way. We look forward to working with you to keep your kids healthy and happy! Dr. Shakti Matta has enjoyed working with children and their families for more than 25 years since obtaining his first medical degree in 1987 in New Delhi, India. He founded Pediatrics for You in 2007, after serving as the Medical Director of a primary care group practice for several years. His vision has been to provide comprehensive and timely care and maintain continuity of care to promote children’s physical and emotional well being. He is a member of the American Academy of Pediatrics, American Medical Association and Grant and Franklin County Medical Society. He enjoys working with children of all ages and complexity. He has a special interest in newborns, asthma, allergies, ADHD, and children with special health care needs. He also speaks Hindi and some Medical Spanish. His other medical related interests include medical teaching, medical informatics, and health care process management. He was a clinical instructor in Pediatrics for Seattle Children Hospital until 2010. He continues to provide hospital care at all Tri-City hospitals. Dr. S. Matta lives with his wife, Shelley and two children (Harshil and Sonali), in Richland, WA. He enjoys running, traveling and reading. Born and raised in Great Falls, MT, Carrie spent her childhood enjoying the outdoors and playing sports. Upon graduating from high school, Carrie moved to Washington State to begin her college education. While attending Eastern Washington University, she obtained her Certified Nursing Assistant license and worked part-time at a long-term care facility in Spokane. She completed her Masters in Physician Assistant Studies in May 2013. The three-year program at the University of Colorado is a top-ranking program with an emphasis in pediatric medicine. She is a proud member of the American Academy of Physician Assistants (AAPA). She enjoys working with children of all ages in close collaboration with Dr. Matta and other members of our health care team. Carrie is married to Jesse Lamb and lives in Richland, WA, with her husband and a toddler son, Brantley Lamb. In her spare time, Carrie enjoys spending time in the outdoors, snowboarding, camping, fishing, reading, and playing recreational soccer and softball. Carrie also cherishes the time she gets to spend with her friends and family. Laura Cunningham was born and raised just outside of St. Louis, MO. She completed her undergraduate education at the University of Missouri - Columbia. When her husband got stationed in Norfolk, VA, she moved east to complete her Physician Assistant studies in Roanoke, VA at Jefferson College of Health Sciences. Prior to beginning PA school, she worked as a Certified Nursing Assistant at a long-term care facility in Columbia, MO, as well as volunteered in the pediatric department at Boone Hospital Center throughout her undergraduate education. She has always had a love for pediatrics and is thrilled to begin her career here with Dr. Matta. She cherishes the smiles and laughs she gets from her patients, as well as helping the sick children feel better again and get back to their playful selves. Laura is a member of the American Academy of Physician Assistants. Laura is married to Brandon Cunningham, and lives in Kennewick, WA where she enjoys exploring new restaurants, baking, running, traveling, and spending time with her husband and Maltese, Lucy. Shawna was born and raised in Reno, NV. She practiced as a pediatric nurse for 6 years prior to becoming a nurse practitioner. She earned her Master of Science in Nursing – Pediatric Nurse Practitioner degree in 2015 from University of Colorado. Her special interests are nutrition and newborns. Shawna enjoys helping children on their journey to building a strong foundation for lifelong health. She loves building relationships with families and discovering what makes each of her patients special. Shawna lives with her husband (Zach) and son (Patrick) in West Richland, WA. She enjoys running, yoga, camping, water sports, and travelling.